To be honest it still feels surreal to say that I’ve seen Avengers: INFINITY WAR at all. I can’t remember the last time I was this hyped for a movie, maybe The Dark Knight Rises? However, unlike TDKR, I felt INFINITY WAR actually met expectations and in some respects even surpassed them. 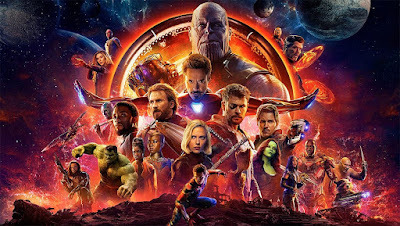 Whereas The Avengers was the culmination of the Marvel Cinematic Universe as it stood in 2012, Avengers: INFINITY WAR is very much the culmination of the MCU as it stands in 2018. As a result both films share the excitement of seeing our fan favourites meeting for the first time on screen, but the sense of scale come INFINITY WAR is (literally) out of this world. After my first viewing I wrote up a spoiler free review of Avengers: INFINITY WAR, which I amended with some updated thoughts after a second. If you haven’t read it yet, please give it a read. 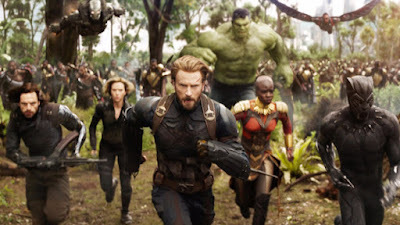 Firstly, I’ve said it before and I’ll say it again, the fact Avengers: INFINITY WAR contains this many characters and manages to tell a coherent story is absolutely incredible. It’s a masterclass in story-telling and structuring a film with so many narrative threads. Granted they had 10 years’ worth of character set-up, so they didn’t have to waste time introducing characters, but I still can’t quite believe they pulled it off. Not only did they succeed, they actually delivered a truly engaging and emotional movie, which in my mind ranks as one of the best in the MCU. I was the surprised we opened with the Asgardian ship pretty much decimated and that Thanos already had the Power Stone. I assumed the opening of the movie would be the attack on Xander and then we’d move on to this section. Although this was surprising it actually really worked for me, we’re thrown into the scene halfway through and it takes the audience completely off guard. The fact we then see Hulk defeated, and Loki and Heimdall both killed is a brilliant set-up for the film. It unsettles the viewer and re-enforces just how powerful Thanos actually is. Great introduction. From this point the film doesn’t really let up, it moves at pace, and although it’s 2 hours and a half, there isn’t really any fat. Every scene, every character and every bit of dialogue serves a purpose and moves the narrative forward. There isn’t a huge amount of character development in the film, but there are a lot of character moments which work perfectly. I really liked the fact that although the film followed multiple groups, the film spent a decent amount of time with each group / plot strand before it moved on and allowed it to progress. For example once Tony Stark is introduced, we spend a solid 20 minutes with him (and Banner, Strange, Wong and Spider-Man) going through the introductions, the New York attack up until they leave Earth. The next scene then has the Guardians meet Thor, set-up the new missions and then they both move on. Every scene has narrative purpose and clear conclusion that moves the plot forward. The film is very much a Part 1 and does essentially end on a cliff-hanger, yet it does tell a complete narrative across a 3 act structure. So unlike previous Part 1 films that felt like all set-up (Harry Potter / Hunger Games), we actually get a narrative conclusion in relation to Thanos completing his mission. You do however miss the resolution from our heroes perspective and it would have been nice to see ALL of the heroes together in a triumph one shot (but hey, I guess that’s being saved for Avengers 4 which will the true culmination of the MCU). I assume Marvel Studios flagged this was missing so created a combined shot specifically for the trailer. I understand why the Russo brothers made the decision to remove the “Part 1” from the title now, Infinity War is a Thanos story with him driving the plot, and I believe Avengers 4 will very much be the Avengers driving the plot trying to resolve the outcome of INFINITY WAR. In terms of the big character deaths, I was surprised how few there were… All the ones after the click I’m not counting as REAL deaths though (more on that later). I had correctly guessed Loki and Vision were going down in my Infinity War predictions post, but they still came as a shock to finally see them happen. I hadn’t even considered Heimdall dying, but it gave some additional impact to the opening scene. The real emotional gut punch was Gamora, her speech leading up to it, the slow motion, the music swelling, all led to a devastating turn of events to get the Soul Stone. And while we’re talking about the Soul Stone, who saw the return of Red Skull coming??? It’d been mentioned as a bit of a pipe dream, but I don’t think anyone really expected it to actually happen. What a great cameo and way to tie up a loose end from Captain America: The First Avenger. So the ending, I suspected Thanos would complete the Infinity Gauntlet and it would end with the click (see my Infinity War predictions blogpost), however I didn’t think we’d see the result of that. Seeing our heroes fade away was pretty shocking and depressing (Spider-Man in particular – Tom Holland’s performance is so good! ), IT definitely left an unsettling feeling in the stomach. 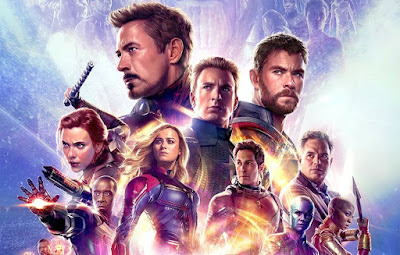 However, I don’t think these characters are actually dead, I imagine their souls are trapped in some sort of purgatory and Avengers 4 will be trying to bring them back. Even suspecting that’s the case, the first time watching this scene is hard. Interesting to see that all the original Avengers remain, maybe this indicates Avengers 4 will be the last hoorah for the OG heroes and they’ll essentially hand over to the new heroes for Phase 4? The action sequences are all incredible, I love the attack in New York (I think it might actually be my favourite), but the Battle in Wakanda and fight with Thanos on Titan are all amazing too. Having lots of different characters working together and using all their powers in unique ways is spectacular to behold, this is genuinely a comicbook geeks dream come true! Still unbelievable this film actually exists, so lucky to have seen it. However, this film does lack the heroic one shot (or splash page) of all our heroes fighting together, but the individual group fights and charcter moments are great. Bucky spinning Rocket and shooting, Thor returning to Earth for the Battle of Wakanda and the fight on Titan are all great! My only criticism of the film is the lack of screentime Captain America, Black Widow, Black Panther and Falcon have, on multiple viewings this is really apparent. However, I don’t really mind this as it makes narrative sense, as outside of wanting to protect Vision they aren’t directly linked to an Infinity Stone and anytime with them wouldn’t serve this story. Hopefully we’ll get more of them in Avengers 4. Also related to Cap’s team, I did think it was bit odd that Scarlett Witch and Vision (two of the most powerful Avengers) were over-powered by Proxima Midnight and Corvus Glaive, yet the human Avengers (Cap, Black Widow and Falcon) saved them… Just a small thing. However, although we lacked screentime with those heroes, Thor finally got a decent amount to do in an Avengers film, he’s definitely been short-changed in the first two Avengers films. Thor is absolutely great in this film, building on the evolved characterisation from Ragnarok but also including some emotional levity (that scene where he opens up to Rocket is great). Outside of Thor, I felt Doctor Strange / Iron Man were pretty big players in the movie (IM was obvious) but as they share pretty much every scene together I was surprised Strange had an equally big presence. Star Lord and Gamora also take pretty big roles for obvious reasons. Drax also is a standout in terms of comedy, he definitely has some of the best lines. 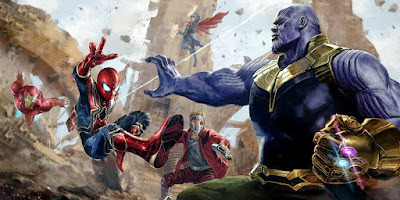 I could write a lot more, but I’ve got to stop somewhere so that’s it, I’m sure I’ll write some blogpost speculating on what will happen in Avengers 4 at some point in the future. For now, all you need to know is I absolutely love Avengers: INFINITY WAR and I’m so happy it turned out great!